Education in Uttaranchal, Uttaranchal Higher Secondary Education, Uttaranchal Education. Education in Uttaranchal has a wonderful impact on the people of Uttaranchal. 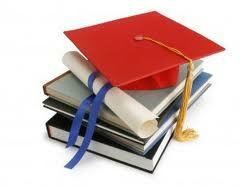 Starting from the primary education to that of secondary, Education is really having a quality. There is a special board that takes acres of Education in Uttaranchal under its strict vigilance. The state of Uttaranchal. The state has been a wonderful scope of education from the ancient times. People from various parts of the nation came to the state to receive quality education. The geographical area of the state includes 53483 sq km. According to the statements of various leaders and educationist in ancient time the state of Uttaranchal have a record of education received from Guru Dronacharya. Since the Kaurava and Pandavas were trained by this Guru in the foot of Himalayas, the state also lies near the foot of Himalayas. The city named dehradun is also known as Drona Nagari. Education in Uttaranchal is really followed by the customs and traditions associated with the time of Drona. But today, there are many advanced features associated with the education system of Uttaranchal. People residing in Uttaranchal would definitely wish to provide a better education for their children studying in the particular region. From various small ages the primary education in the particular state has been made compulsory. Today, the students have record of coming out in flying colours from the primary schools associated at the state of Uttaranchal. The primary education system of the state is the only fact that drives each and every student to achieve a success in higher level. If the base at the primary level is poor, students cannot get proper recognition. People in Uttaranchal have students as their children who wish to start their career with a good base in education. Today, the students can choose any stream once they are taken up to the higher schools. It is really very important for all the students to concentrate well in each and every subject associated in the higher level of their school. The support from board will be always there.